Ascot Lodge Motel consists of 11 comfortable, clean and spacious units. Range of 1, 2 and 3-bedroom. 2 and 3-bedroom units can sleep up to 6 persons. Walking distance to Te Rapa Racecourse, Waterworld, Kingsgate Hotel. Close to St Andrew's golf course. All units include full kitchen, separate lounge and bathroom. Swimming pool and full laundry facilities. 10-channel TV. Bus and truck parking. All major credit cards. 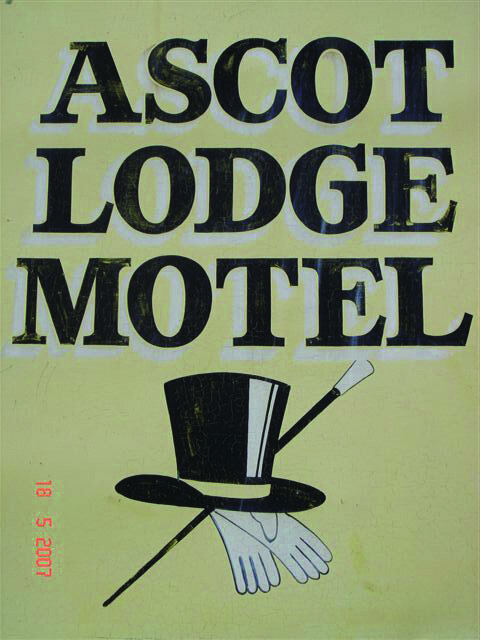 Hosts: Bruce and Lynn Davy..
Ascot Lodge Motel consists of 11 comfortable, clean and spacious units. Range of 1, 2 and 3-bedroom. 2 and 3-bedroom units can sleep up to . . . More . . .